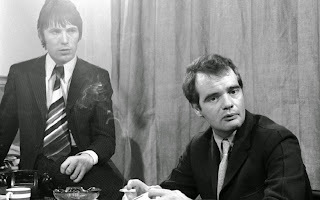 Chris Stamp and Kit Lambert: Two who helped launch The Who. 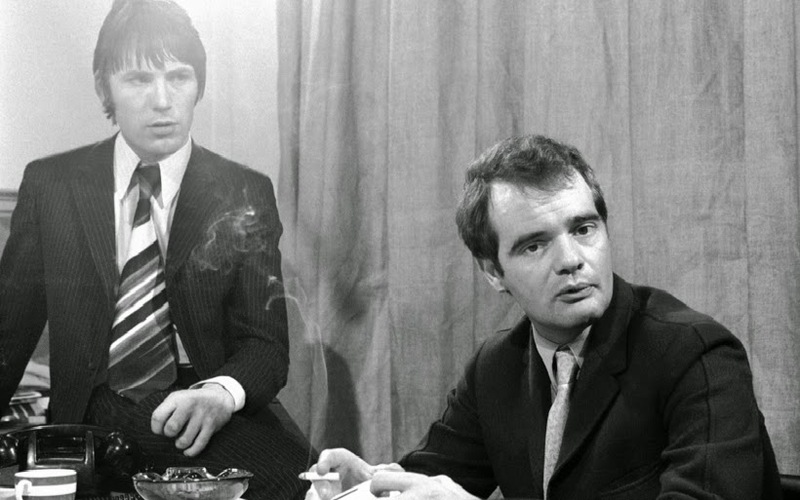 Kit Lambert and Chris Stamp only wanted to discover a band in swinging '60s London so they could make a documentary about the experience in order to gain credibility as wannabe movie directors. "We could manage a group, and how we did it would be the film," remembers the latter, in the fascinating new documentary "Lambert & Stamp." Instead, they set that strategy aside to devote all of their energies to nurturing and representing the four-piece they found, the band that would turn into classic rock titans The Who. The likeably genial Stamp's recollections of the tumultuous years between the making of The Who's first album "My Generation" and the global triumph of their 1969 rock opera "Tommy" are supplemented with vintage footage dating back to the group's early club appearances as The High Numbers. Surviving band members Pete Townshend and Roger Daltrey also appear in more recent on-camera interviews, reflecting on the ups and downs of having their careers guided by a duo that made up for inexperience ("We never said we knew how to do it," Stamp admits) with passion, cleverness and devotion. It was the working-class Stamp who suggested Daltrey should sing "My Generation" with a stutter, imitating the way pill-popping Mods of the day talked. Lambert, the Oxford-educated son of a classical composer, expanded Townshend's musical horizons and ambitions during the time they lived together. Although he later accused the songwriter of "vanity" when Townshend told him about his ideas for "Tommy," Lambert is given credit for helping to shape that album's narrative. The now elder-statesman-like Townshend admits that he thought The Who's career would last only 18 months to two years, at which point the group would "deliberately blow itself up." The band's sometimes dysfunctional dynamics led to on-stage fistfights. Daltrey and bassist John Entwistle felt put out by the fact that Townshend and drummer Keith Moon received special treatment from Lambert and Stamp. Lambert's talent for soothing the waters, as well as his attention to what Townshend calls the group's "attitude, philosophy and stagecraft," kept them on a path to artistic and commercial recognition. Also, the film treads too lightly over the period when the here-unnamed producer (Shel Talmy) of the first Who album entangled the contract-violating group in lawsuits that led to injunctions against releases and confiscation of master tapes. Stamp casually mentions that a "bad deal" meant the band had "no money" even after a handful of hit records, but the film provides no other details about what must have been a grim period. Also, don't expect any full renditions of Who hits, although more than a dozen of the group's songs are featured as partial performances or background music accompanying photo and film montages. One charming piece of archive footage shows some of Townshend's solo-guitar run-through of "Glittering Girl" for Lambert and Stamp in the studio. Seeing the didn't-die-before-they-got-old Townshend and Daltrey discuss The Who's wild ride sometimes feels like eavesdropping on an intimate therapy session. Both say they were thrown out of the group at one point. Townshend says there was "something deeply wrong" with the manic-depressive Moon. Stamp notes that things in the group improved when "Roger agreed to stop hitting people." In classic show-biz style, the band's relationship with management gets rocky when the millions start rolling in. Decades later, Stamp still seems taken aback that the group ended up suing him and Lambert after achieving their highest paydays and greatest success. Not mentioned is the pertinent detail that he and Lambert had withheld large sums of unpaid royalties, spent on luxuries such as Lambert's Venice palazzo. The latter-day Townshend and Daltrey, however, seem to regard that unpleasantness as water under the bridge. Directed, written and produced by James D. Cooper over 10 years, "Lambert & Stamp" offers an intriguing portrait of the men Townshend describes as the fifth and sixth members of The Who. While Lambert and Stamp never got around to completing their own documentary about the band, their part in the group's 50-year legacy ironically makes them very worthy subjects for the spotlight themselves.